Holy cow, a week already? Wow. Today is Brain #2! 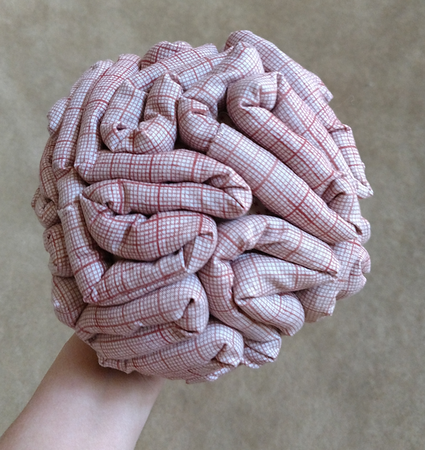 Which you may have already seen because of recent pictures of brain deliveries. Anyway! 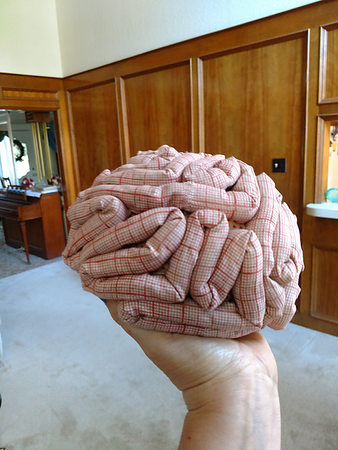 Brain #2! Basically the same overall size and theme but different fabric. At first I liked the ombre better but now I like this fabric because of the "blood vessel" sorta look. Also no two brains are alike because it's random how I arrange the tubes. This entry was originally posted at https://laridian.dreamwidth.org/2934453.html. Please comment there using OpenID.